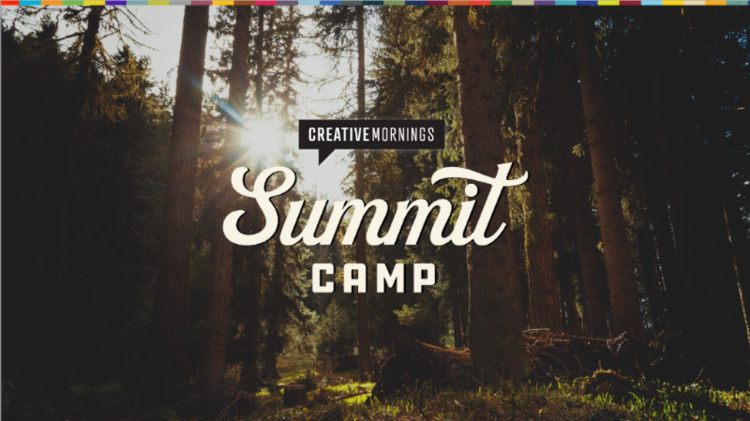 Every two years, Creative Mornings celebrates their volunteers and the indispensable work they do at the CreativeMornings Organizer Summit. This year, they're calling it Summit Camp. They're celebrating our 10th anniversary in upstate New York at the beautiful Iroquois Springs summer camp with more than 300 volunteers from 89 chapters. I will be presenting alongside Sara Auster and some incredible speakers like Seth Godin, Priya Parker, and Ingrid Fetell, to share with the CM community. It's an opportunity to unplug, learn, connect, and celebrate the fact that we are all in this together.